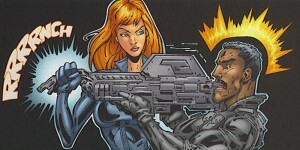 Cruddie Torian’s art continues to strengthen with each issue. If you pay attention to his work, you’ll pick up on little visual references he plants here and there (see if you can identify which movie the guns the guards are holding on page one are from). 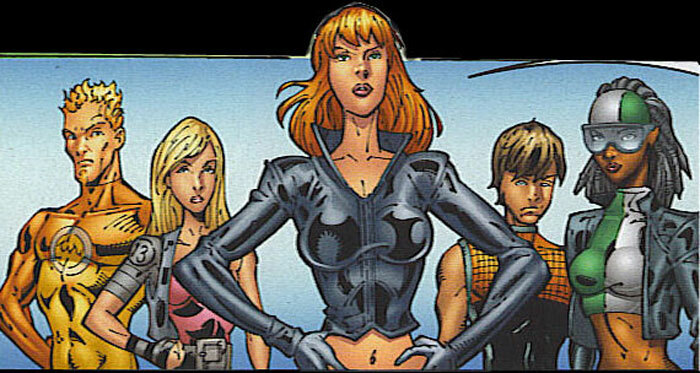 I haven’t seen someone who I think nails Fairchild’s look (my personal favorite Gen 13 character) in a long time. 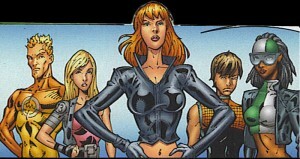 Speaking of Fairchild, I find it funny that with Gen 13 we’ve been getting guest cover artists just like over in Wildcats and The Authority (we get a gorgeous J.G. Jones cover here) and while they’ve all drawn her in that one-piece sleeveless variation of her old costume on the cover, in the interior she hasn’t donned it since the war with The Red Blade. Honestly, I’m liking the simple black costume Torian has given her. I think it’s appropriate to what she’s dealing with as a character. Every time I write a Gen 13 review lately, I try my best to refrain from complaining about this title not being monthly. 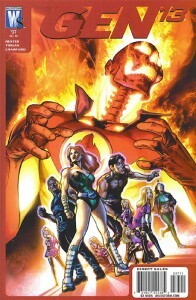 But Hester and Torian make it that much harder when they keep putting out such solid issues. 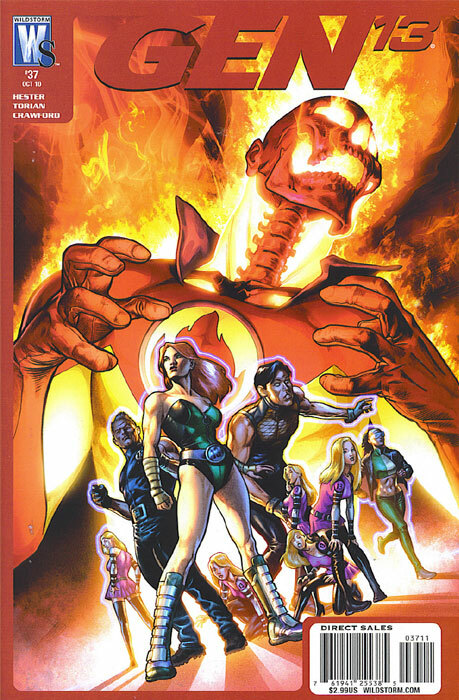 The cliffhanger to this issue is crazy and I wonder if it’s an event that will send Fairchild over the edge. Hester has already done a great job of showing us how Fairchild is not dealing well with all the changes in her life lately. This Gen 13 run is the most unique I’ve seen it in a while. Hester does well to make sure we don’t know where he’s taking the team next and has done well to bring life to some of these characters which are still relatively new. The cliffhanger just leaves me wishing it were October already. 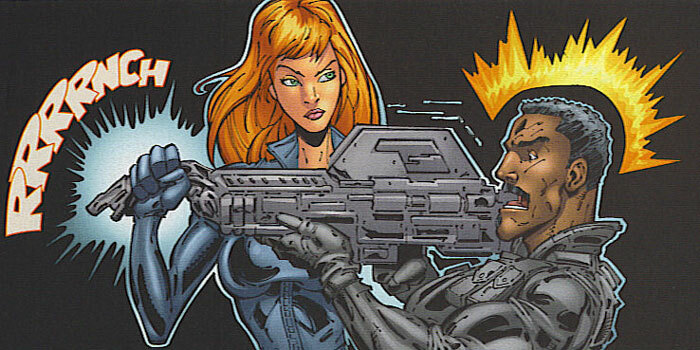 This entry was posted in Gen 13, Reviews, WSU and tagged cruddie torian, j. g. jones, phil hester, review, scott peterson, wildstorm universe. Bookmark the permalink. I agree in general with your thoughts. I’d give it an 8. I am really enjoying this take on the kids and I really wish Phil had more issues to continue to flesh out this story. same here, Hester’s doing a great job!